You are here: Musculoskeletal Imaging/Shane K. Ball, M.D. Graduated from Loma Linda School of Medicine, Loma Linda, CA. He completed an internship at the Veterans Administration in Boise through the University of Washington School of Medicine. He then returned to Loma Linda School of Medicine for residency. He performed his fellowship in body and musculoskeletal imaging at Stanford University Medical Center. 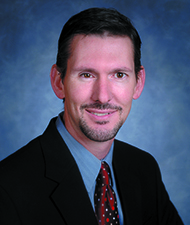 Dr. Ball specializes in body and musculoskeletal MRI and CT. Dr. Ball joined Boise Radiology in October, 2005. A Boise native, Dr. Ball enjoys a variety of outdoor Treasure Valley activities.